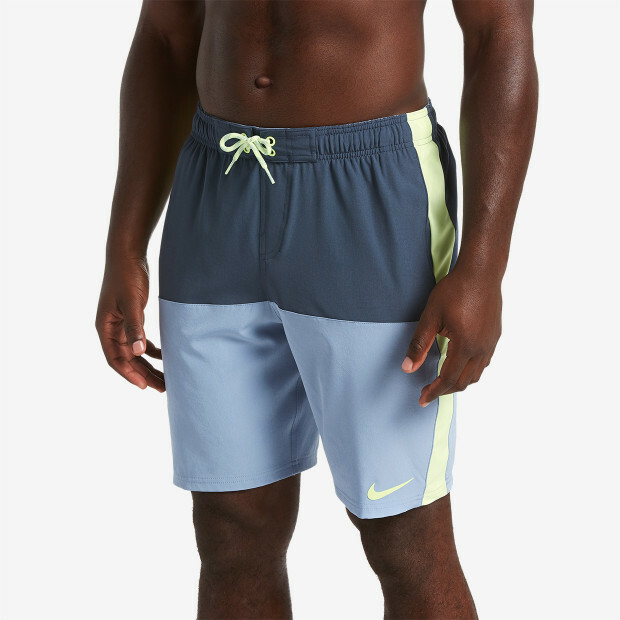 Nike Swim Men's Split 9" Trunk is a comfortable swimming short with an ombre colorblock design and longer leg. 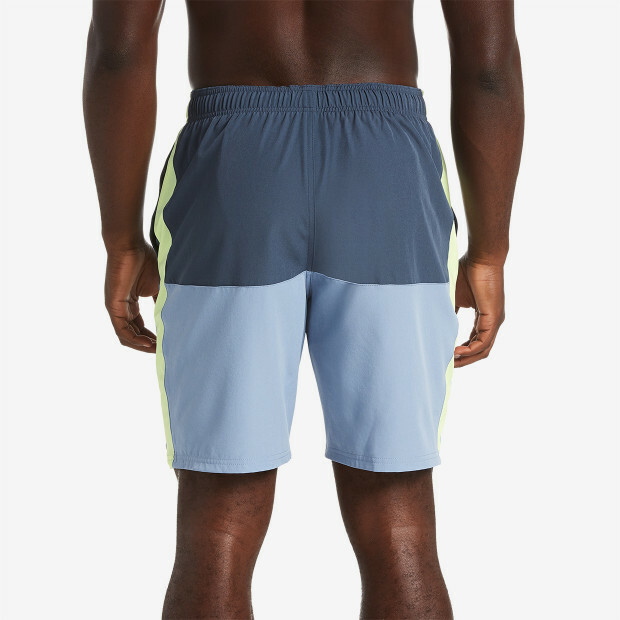 Get a flexible fit from the stretch waistband with front lacing and the support you need from its built-in mesh liner. 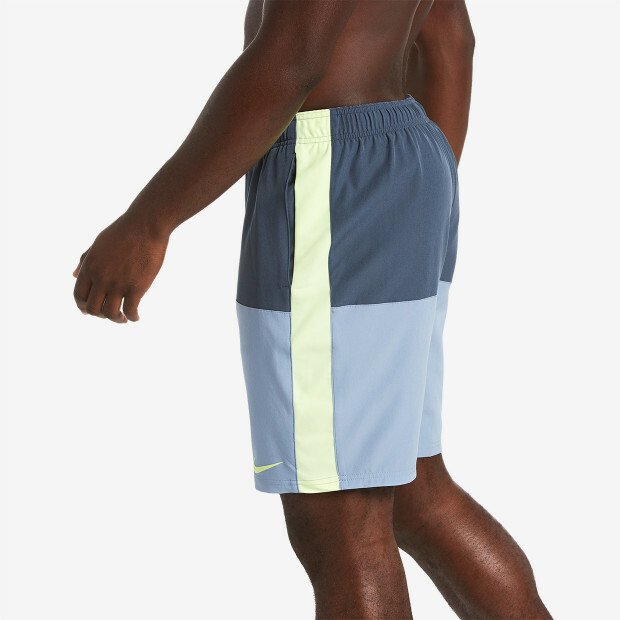 Water-repellent fabric plus mesh drainage points help you dry off quickly.